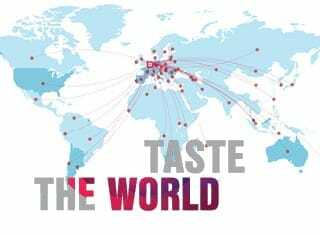 World Bulk Wine Exhibition 2019: Taste the World! 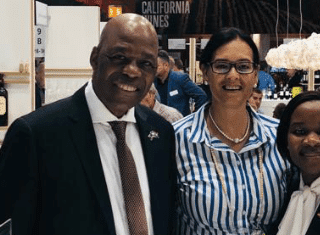 Premium bulk players and smaller-volume buyers meant business at the annual World Bulk Wine Exhibition, presenting them with huge bottling opportunities further from origin, writes Wanda Augustyn. The 10th edition of the World Bulk Wine Exhibition, which took place in Amsterdam in November last year, presented an opportunity to taste almost 80% of the world’s harvest under one roof. The two-day event surged both in terms of exhibitors (250) and visitors (6 500), and in diversity and internationalisation. Buyers from 75 countries gathered to taste, network, and talk about the latest and greatest trends. New wine buyers from Armenia, Egypt, Ghana, Libya, Nepal, Senegal, Serbia, Turkey and Uzbekistan tasted wines alongside traditional buyers from countries such as Canada, Denmark, Japan, Norway, Russia, South Korea, Taiwan and America. They represented large bulk wine operators, new producers and medium-sized companies in pursuit of very specific quality wines for their business, proving that this exhibition has shifted from being a bulk wine trade fair to a complex business and discussion platform that provides many opportunities, especially for markets wanting to cater for niche and premium purchases. The overall message was clear: Quality is key. “This exhibition started as a place for big volumes, but now it’s not just about big producers and big buyers, but for everyone, whether you’re a buyer for a restaurant group or a specialist buyer,” says Catherine Mendoza, who oversees the Scandinavian market for broker Ciatti. This is further proof that buyers were in search of exceptional quality. Key focus areas at the exhibition were private labels, alternative packaging and an acute awareness about the environmental impact of wine production. Speaking at a seminar on various packaging formats, Catherine emphasised the need for a radical change in approach when it comes to how wine is packaged and delivered if the industry is to thrive. Talking at a seminar on the expanding bag-in-box (BIB) market, Catherine highlighted the successes BIB has had in the Scandinavian monopoly market. With a mix of government push on environmental issues and consumer demand for sustainable packaging, bag-in-box packaging has taken over half the wine market in Scandinavia, including the market for more premium wine styles. In South African however we have a long way to go to change traditional negative perceptions about bag-in-box wines and replicate the Scandinavian successes. With the balance in the world wine supply restored pricing was back on the table. Speaking to South African brand representatives at the exhibition, reasons for attending the exhibition include getting a better understanding of the international market, knowing how to position our wines, benchmarking our wines’ pricing and quality against those of other wine-producing countries, and tasting unknown quality wines. 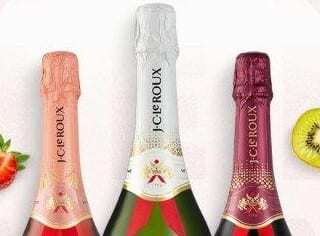 Among their concerns was the relatively low interest in South African wines, as well as high import tariffs. The main talking points at the exhibition, however, were competitive prices and the excellent quality of the wines. The World Bulk Wine Exhibition Asia takes place from 30-31 May in Yantai (Shandong), which is known as China’s City of Wine. It’s the country’s most important port of entry for bulk wine with 82% of the bulk wine that enters China each year going via the province of Shandong and 96% via the port of Yantai. 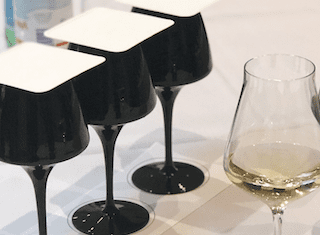 The event will aim to connect international wineries with companies from China and across Asia, thus boosting a constantly growing industry. It’s clear the World Bulk Wine Exhibition is growing and evolving, with premium quality, constant innovation and consumer involvement in decision-making making it a force to be reckoned with. The 10th WBWE hosted exhibitors from 22 countries: America, Argentina, Australia, Belgium, Chile, China, Estonia, France, Georgia, Germany, Italy, Macedonia, Moldova, New Zealand, Portugal, Romania, Slovakia, South Africa, Spain, the Netherlands, Ukraine and Uruguay. Bulk Wine Club: The Bulk Wine Club not only gathers information on the bulk wine industry, it’s also an information forum that enables members to get direct access to everything in the sector in real time, including sales data, prices, trade flows and trends. It’s also the biggest social network for bulk wine professionals from around the world. Ssssh . . . we’re tasting: One of the WBWE’s most visited areas is the Silent Tasting Room, an exclusive tasting room where buyers and brokers can taste more than 400 wines from all over the world in one day.